CLICK HERE FOR MORE INFO & STEP-BY-STEP INSTRUCTIONS ON HOW TO TAKE ACTION! The FDA’s proposed food safety regulations pose significant problems for sustainable farmers, food producers, and food hubs across the country. Under the proposed regulations, many farmers will be forced to comply with high-cost, industrial-scale regulations, and they will be unable to use traditional, sustainable growing practices. Food hubs and local food businesses will be forced to deal with costly and burdensome paperwork. Ultimately, consumers will face increased food prices and reduced availability of locally and sustainably produced foods. 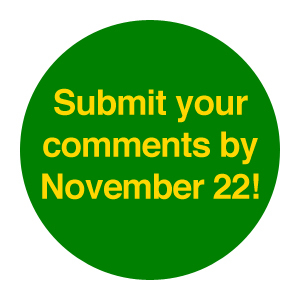 Please add your voice in support of our small farmers and food producers by taking action before the Friday, November 22 deadline. 3. Low-risk activities conducted by a farm using its own products or using another farms’ products, such as making jams, grinding grains, or dehydrating vegetables, should not be subject to any of these regulations, including both the HARPC requirements and the good manufacturing requirements. The exemption should apply regardless of the size of the farm.